Finding and selecting the best deal for a health insurance can be difficult. ZorgKiezer.nl is a reliable and independent comparison website for all Dutch health insurances. Each year on January 1 you can switch to a cheaper insurer. Zorgkiezer.nl has a free ‘overstap service’ and helps you to terminate your previous insurance and start with cheaper insurer. Anyone who resides or works in the Netherlands is required, under the Health Insurance Act (Zorgverzekeringswet), to enroll with a health insurer to cover medical expenses within four months of arrival. The Dutch healthcare system is based on the principle of social solidarity. This means that healthy people contribute to the medical expenses of those who are ill. If you have an income or receive a social security benefit, you are also due to pay an income related premium. Depending on your situation, the percentage varies. Health insurers must accept anyone who applies for the mandatory healthcare insurance, regardless of their age or state of health. You are free to choose your own health insurer and change your health insurer once a year, with effect from January 1st. Everyone over the age of 18 pays a monthly premium for the mandatory health insurance. Those who are younger than 18 years are insured and do not have to pay any premium. Note that newborns must be registered with a health care insurer within four months after birth. The monthly premium for the mandatory health insurance is approximately around € 109 (2017). Besides the monthly premium you need to pay the policy excess. The policy excess concerns healthcare costs that are not reimbursed. The government determined that the excess for 2017 amounts to € 385,-. Medical costs that exceed this sum and are covered by your health insurance will be paid by the insurer. 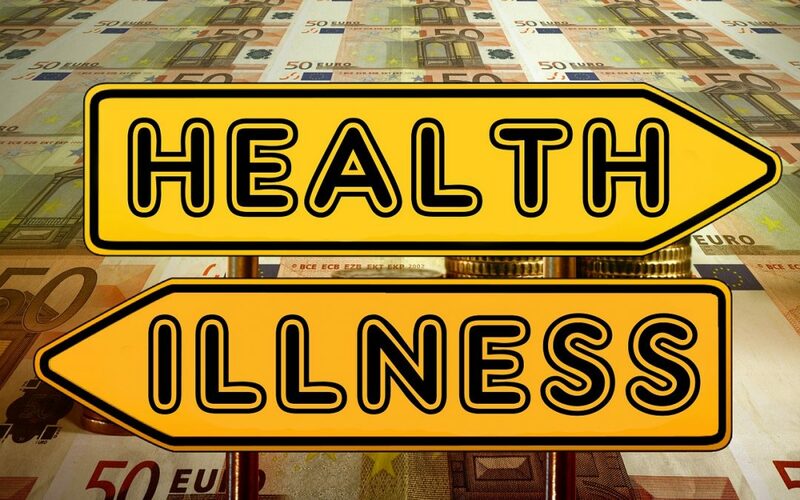 The healthcare allowance (‘zorgtoeslag’) is a contribution by the government towards the health insurance premium and is issued by the Belastingdienst. Visit www.toeslagen.nl to calculate whether you qualify for the healthcare allowance. The amount of healthcare allowance depends on your income. The healthcare allowance also applies to children aged over 18 who are living with their parent(s). The healthcare allowance is not dependent on the parents’ income. You can apply for the healthcare allowance online or by mail. If you are not insured, you will receive a letter from the Netherlands Healthcare Institute (het CAK) reminding you to take out a mandatory health insurance within three months. If you do not enroll with a health insurer within three months, you will have to pay a penalty of € 382,50 (2017). If you have incorrectly received the letter, then you need to submit an appeal to het CAK. You can download the appeal form. When in doubt, you can contact the Social Security Bank (‘Sociale Verzekeringsbank’) to request for an investigation of your insurance situation. For more information see www.svb.nl. If your premium is overdue, you risk having to pay a higher premium. The health insurer will send you a letter when you are two months or more behind on your payments. You can then request for a payment arrangement. When you are four months behind or more on you premiums, you will receive a last warning from your health insurer. Make a payment arrangement with your health insurer in time or go to your municipality for assistance to solve your debt problem. In the event of a six months premium debt, your health insurer will report you to het CAK. The monthly due to het CAK is € 134,38. This new monthly premium will be deducted directly from your wages or benefit. The increased premium will end once the entire debt has been paid or if you have made arrangements for debt counselling. Sometimes, you may take out healthcare insurance via your employer. This is called group healthcare insurance. This insurance is often cheaper compared to healthcare insurance that you take out yourself. Ask your employer for more information.